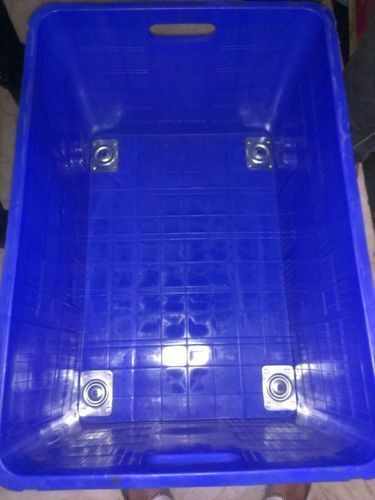 Riding on unfathomable volumes of industrial expertise, we are offering an excellent range of Plastic Vegetable Crates. Established in the year 2008, we, Lunar Electricals Private Limited are reliable manufacturer, exporter and supplier of a qualitative assortment of Housewares Unbreakables, Plastic Products, Kitchenware Products. These products are designed and manufactured utilizing finest quality raw material and superior technology with high accuracy, in order to fulfill the global quality standards. Our provided variety of products is extensively acceptable and acknowledged amongst our customers for its features such as perfect finish, reliability, durable finish standards and dimensional accuracy. Furthermore, our presented products can also be availed in both, standard as well as in customized options, in order to cater various needs and requirements of our valued patrons. In addition to this, customers can avail the provided products from us at market leading price range. We are also Deal in Brand nova.